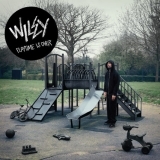 Playtime Is Over is ranked 2nd best out of 10 albums by Wiley on BestEverAlbums.com. The best album by Wiley is Godfather which is ranked number 13810 in the list of all-time albums with a total rank score of 95. Members who like this album also like: Whatever People Say I Am, That's What I'm Not by Arctic Monkeys, My Beautiful Dark Twisted Fantasy by Kanye West and Treddin' On Thin Ice by Wiley. Related links: top tracks by Wileytop tracks of the 2000s, top tracks of 2007. I reckon this is the best of "The King of Grime's" many albums. He'll probs disagree though.